Hall of Fame coach Marv Levy recounts his life and career, which includes his storied tenure with the Buffalo Bills, whom he led to four consecutive AFC titles in the early 1990s. While there are many thrilling tales of games - including the Bills' miraculous comeback win over the Houston Oilers - more important are the lessons learned through triumph and defeat, all told with vibrancy, good humor, and insight. Alpha Trivette's buoyant and colorful performance enhances Levy's marvelous prose, making Marv Levy: Where Else Would You Rather Be? a joyous, engrossing experience. 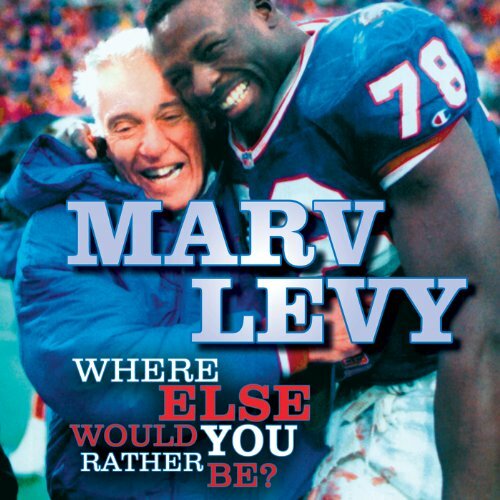 ©2004, 2012 Marv Levy. Foreword copyright 2004, 2012 by Jim Kelly. Afterword copyright 2012 by Ernie Palladino (P)2012 Audible, Inc.